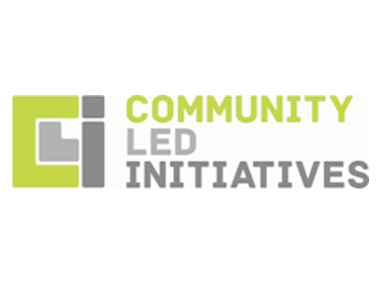 Community Led Initiatives (CLI) was established in 2010 by two ex-offenders as a volunteer-led project to work with priority and prolific offenders across Tameside. They are now a Community Interest Company with 6 paid staff and a network of volunteers who deliver a range of services to offenders, substance abusers, and their families. Many of CLI’s services are delivered under contract to probation and local authorities. Back in 2011, CLI was still a small project with a handful of volunteers documenting service user information on paper. The management team, Peter and Matthew, would then manually upload the information onto a Microsoft Access database. Producing reports for stakeholders was a painful 3 day job locked in a room with lots of paper, blue tack and a flip chart. Furthermore, the information that the organisation held wasn’t helping the team to understand their impact or expand their service offering. Peter and Matthew knew they had to find a solution to their problem, but it was only when Peter picked up a leaflet about GMCVO Databases at a GMCVO hosted course that they were prompted into action. After meeting with GMCVO Databases, both Peter and Matthew felt that the team fully understood their needs and had lots of creative solutions to help get the most out of CiviCRM at an affordable price. They submitted GMCVO’s quote to their then funder, Tameside MBC probation, along with a business case justifying their need for the expenditure. Funding was approved ten months later in 2012, and the team decided to draw a line in the sand and start afresh with the new database. This meant that there was no data migration to worry about and the focus was to review and streamline CLI’s processes and procedures. The team at GMCVO helped to design online forms to replace all the paper versions. GMCVO trained Peter and Matthew, who then trained their team of volunteers. The volunteers were given logins with limited access to only the service users they work with, while the paid staff have full access. Once the system was launched the team came across a few teething problems, all of which were easily resolved simply by using a little more of CiviCRM’s extensive functionality. Peter says that overall the implementation was a painless experience. The organisation went from handling reams of paper to none literally overnight. Volunteers are now able to upload service user information and interventions directly onto the secure database, saving the organisation hours of manual data entry. The database supports a range of projects/contracts with different information requirements in a simple and easy to manage format. Service user records are grouped by project, enabling the team to see interventions by project or by service user. Data can then be extracted quickly and easily in order to provide stakeholders with monitoring and impact reports, and to help the management team better understand how their services are used by their clients. Being a small organisation, it is important that CLI are able to focus on growing their number of contracts/services without the worry about administration or data security. GMCVO Databases and the CiviCRM software have put the organisation in a better position to win new contracts and helped to make setting new projects up much easier. The support from GMCVO Databases gives the organisation access to additional resource when they need it, both to provide creative solutions to any new challenges faced or functionality required, and to resolve any technical problems. This means that both the staff and volunteers are now able to spend most of their time working with service users and making a difference.